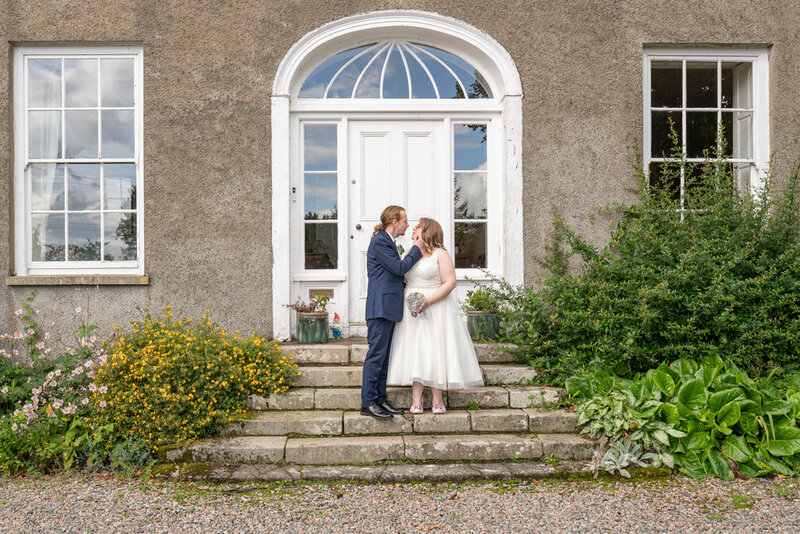 When Louise and Michael asked me to capture their special day, I knew it was going to be a cool one. They had so many quirky and personal aspects to their day. They decorated their venue themselves and they even brewed their own cider! The sun was stunning throughout the day which was great for archery and outdoor gatherings. They had a scrumptious hog roast buffet for their evening meal, finished by playing their first song with their friends. Breckenhill was just the perfect venue for Louise & Michael, and all they had planned. Louise’s most memorable parts from their special day were seeing the peacocks out of the balcony at the hotel. 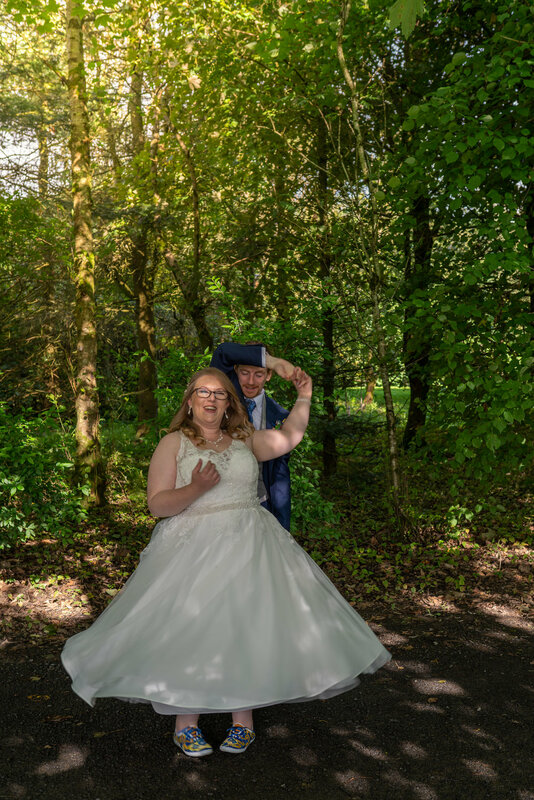 She was aware of saying “awfully” wedded husband and ended up in fits of laughter when she overcompensated at that part. 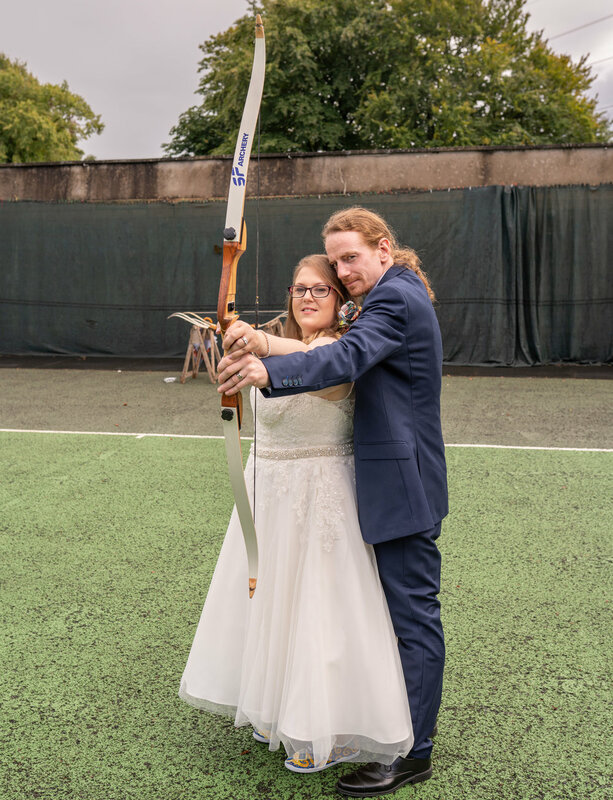 She really enjoyed learning archery after the ceremony and that the guests had something more quirky to do. The whole day was a whirlwind for her but she loved playing their first song instead of having a first dance and of course being so happy that her face ached. If any brides and grooms are decorating the venue themselves, plan more time than you will think you will need. Bring a spare pair of shoes - they were life savers!